As far as we're concerned, there has always been organization in police investigations of thefts and other crimes. The crime scenes we see on television shows always use fingerprinting as their way of catching the "bad guys." Well, sadly before these techniques were implemented crime scenes were not as respected as they are now. In fact, before the FBI started realizing how valuable fingerprints were in uniquely identifying people as forensic scientific evidence, they weren't even taken that seriously. The other thing we now can implement is the use of fingerprints as a form of identification for files. Important documents may require an inking. Many businesses and homes use finger scanner technology for door locks. Yes, the fingerprint door lock is another addition to security measures. Fingerprints have gone from a 'post-crime' way of identification to a pre-crime preventative measure. Pre-emptive home and office security is wise for people protecting valuables and personal safety. Things have come a long way since fingerprint reading has been implemented. If it weren't for this study of the ridges in our fingers, then a lot of these inventions and security advances would not be possible. Such a simple thing has made such a significant difference so it's important to use it to its full potential in protecting property. What is it with spy movies and all of those cool gadgets? Sure they're practical for saving the world one mission at a time, a la James Bond, but when are they practical for everyday use? In actuality you can find some security and business equipment that can be used in practical applications. One perfect example is the finger scanner. That's very much a super secret spy tool. However, it can be used by businesses to keep track of employees. Could you imagine if James Bond had to clock in every day? Employee clock in software is a reliable way to see if your employees are working when they should be. The scanner is used as a way to identify each person with the most definite results. It is a way to update the office and keep efficiency running at maximum. Employees like it because it is an official record of their overtime and arrival. It dispels any confusion that can occur from human error. So, the next time you put on an action or spy movie think about the biometric equipment the agents use. Not all of them are pure Hollywood magic. Some of them are becoming commonplace. 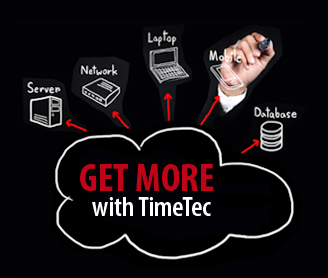 Check out FingerTec's selection of biometric time clocks. This time around, I want to talk about books. Particularly about titles that I read in 2011 that are worth some reviews; I reckon too much of FingerTec talk sometimes could bore the audiences. Last year, I bought about 100 books in total and a few eBooks from Kobo and not counting my magazine subscriptions. Some books are for references; some are trashed after a few chapters, and only 30 or so that I read cover to cover. Here I introduce a few English books that I like. 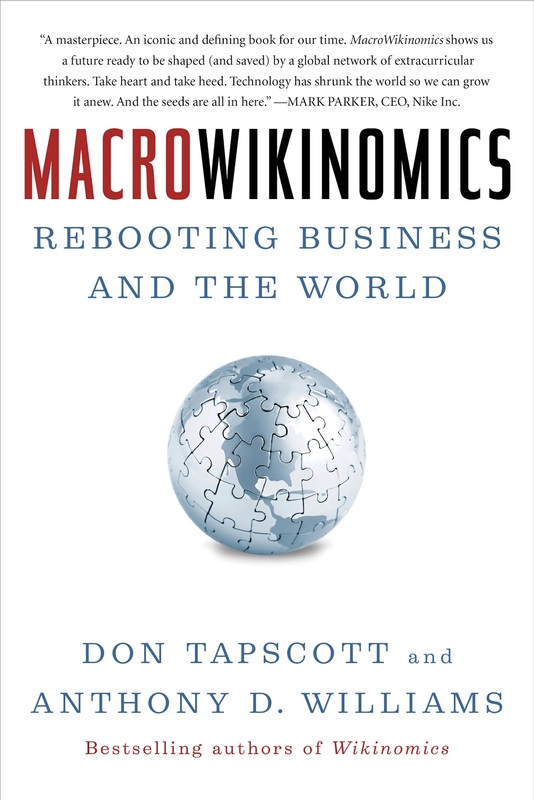 Tapscott is a thought leader in digital world. 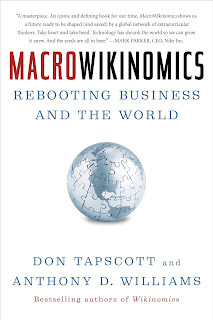 This MacroWikinomics should be an extension of his observation for mass collaboration, in a larger scale after the published of Wikinomics in 2006. In this book, he gives some true examples on how MacroWikinomics happened in business, government and civil society. 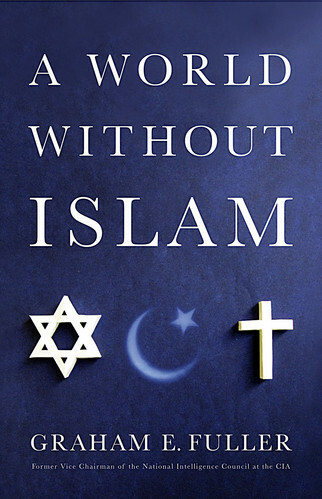 This book is NOT about criticizing Islam. 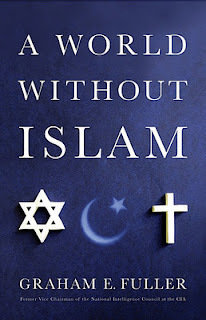 In fact it concluded that the global confrontations wouldn’t be lesser if the world is without Islam. Fuller, a former vice chairman of the National Intelligence Council at the CIA gives a lot of analysis and proofs that the conflicts and tensions that exist between the West and the East are geopolitically mounted, rather than caused by religious origins. The discussions are not confined to Islam only; in relation to Islam, it broadly covers the Christianity, cultural, politics, economic, history and more. I don’t prefer celebrity biographies, and I hardly buy or read any memoir. But this was an exception to me. 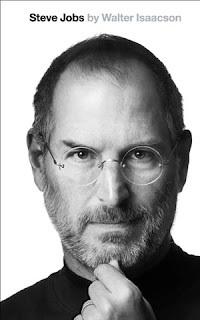 We are in an IT-related business and a person like Steve Jobs is such a legend that the details of his life are worth a look at. I bought this book in a second-hand bookstore. I have a few books of Stephen Frey, some I finished and some I discarded half way. My last purchase, Hell’s Gate unfortunately felt in the latter category. This one so far I think is his best. 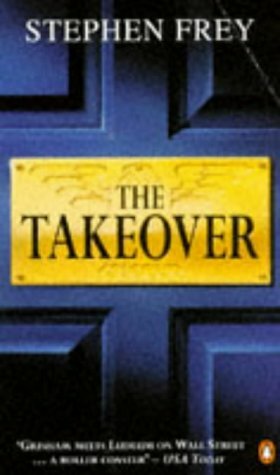 If you want business world’s thriller, this is it. 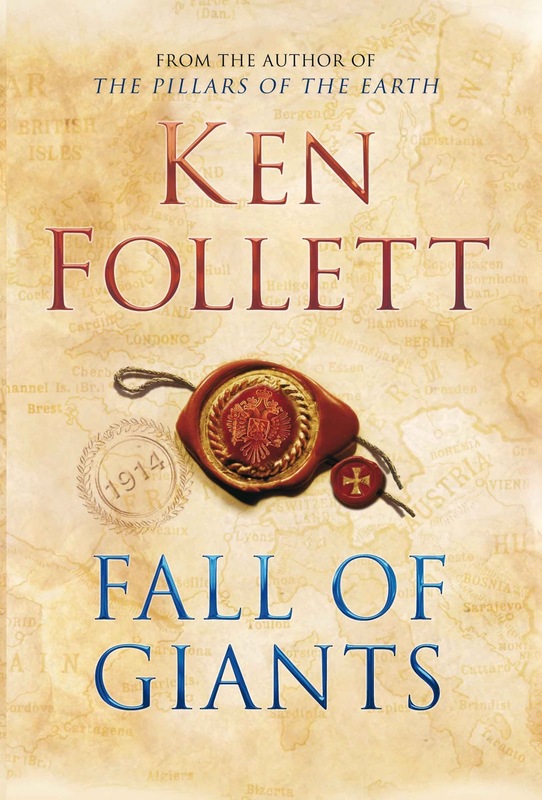 I have a full collection of Ken Follet’s books. 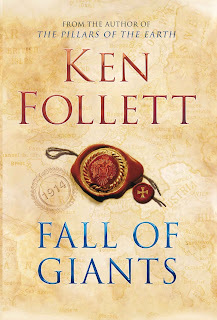 This is the first book of his trilogy about the change of the major world powers before and after the World War 1, written in a style that gives it a lot more fun than a history book. I would definitely consider getting his second installment due this coming September. This is Aravind Adiga’s debut novel that won him a Booker Prize. I bought the book, expecting some surprises to be in store and it didn't disappoint. I must say that I enjoy books written by Indian writers, especially one like Rohinton Misty who beautifully and powerfully depicts the harsh life in India. 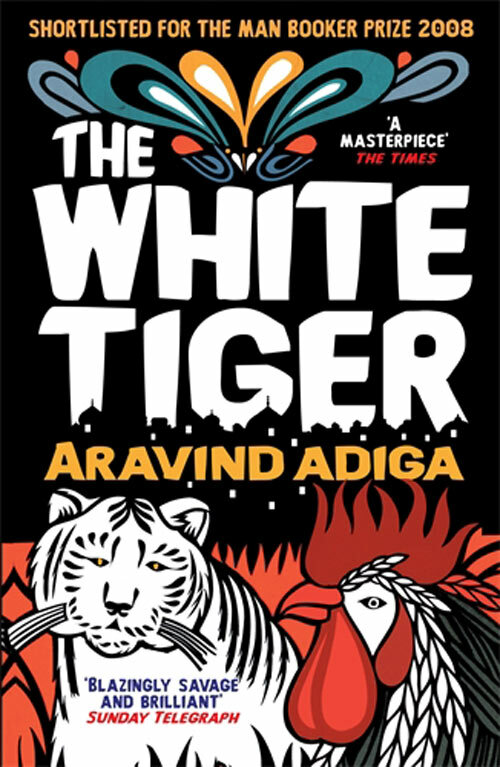 Aravind’s White Tiger novel has a more comical feel. The low-life chauffeur turned “social entrepreneur” tells his own story, justifying his crime, and at the same time, revealing the rampant corruption that has eroded the Indian democracy system. In my view, I found Ghost Writer more interesting in film rather than a read, but nevertheless, Robert Harris is still one of my favorite writers. His latest work, The Fear Index, is a combination of technological, financial and psychological fiction, which brings an interesting and creative turn to the book. His ancient Rome trilogy, based on the tale of Cicero’s slave secretary, Tiro, is another intriguing piece although it seems like Robert Harris has totally forgotten his mission to complete the trilogy - after the publication of Imperium and Lustrum, I, for one, have been eagerly awaiting for news of the third and final part. 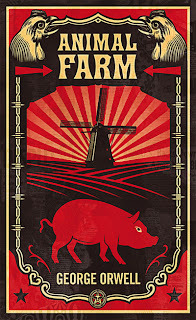 We all know George Orwell because of his classical 1984, which was first published in 1948, the famous prophetic haunting tale about the “Thought Police” and the “Big Brother”. This novel was first published in 1946; and I bought the digital copy, as the printed copy is a rare in major bookstores. 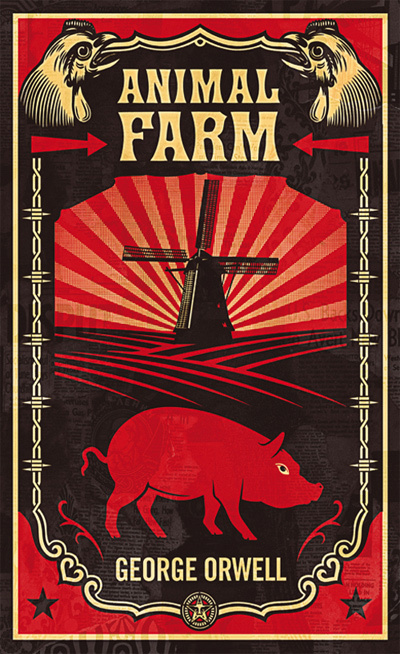 Both Animal Farm and 1984 criticize totalitarianism, and the author uses animals as characters in his Animal Farm. Security is of the utmost importance to most people. It’s important because you have a lot of things you want to protect. For this reason you close your windows, lock your doors, make sure your car is secure and so on. With most doors, you need keys to open and lock them but what happens if you lose your key? Or worse, what happens when someone steals your key? This is when the trouble begins. A very determined thief may even go so far as to duplicate your key in order to get in. Whatever the case may be, fingerprint door locks remove the unseen risk of having a typical key locked door. Door fingerprint locks aren’t only for residential homes but for businesses as well. Company secrets and important documents are held behind doors that need to be secured. These extremely secure and reliable fingerprint locks can’t be defeated by a thief trying to use a torque wrench and lock picks. There are no keyholes to manipulate or tumblers to fool! By using locks requiring a fingerprint, not only can you prevent unauthorized entry by outsiders, you can also prevent entry by employees during unauthorized times. By adding an attendance system to your lock, you can track who’s coming in and out of the facility. By adding another strong layer of security to your home or office, thieves will think twice about trying to steal from you. 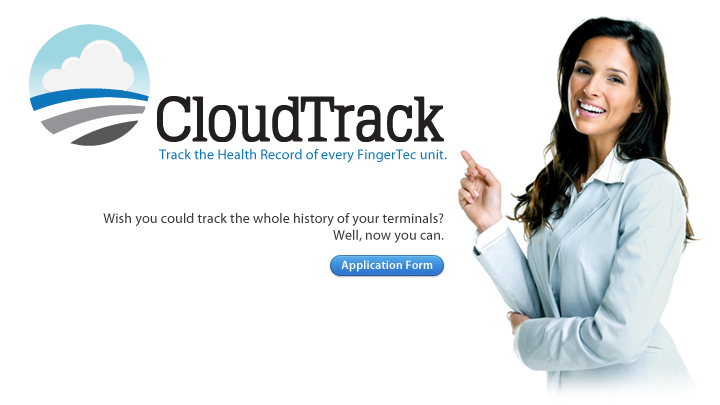 Our practical branding concept continues to bring us some new and innovative systems that benefit resellers and customers, this time we introduce CloudTrack. Yes, this is a cloud computing technology platform, but no, this is not a system for sale. 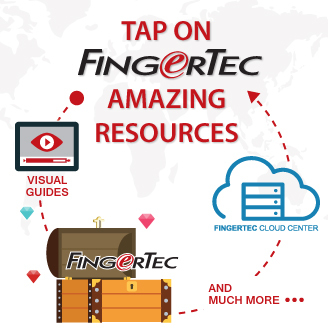 This is an additional support system from FingerTec to make sure that as our sales grow, our technical support improves to the benefit of every party involves in FingerTec business. 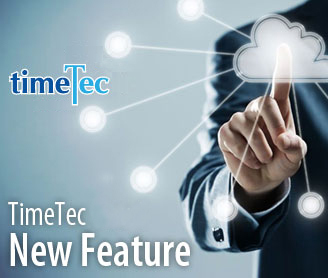 This system is expected to provide convenience to our resellers and technical team in tracking every terminal’s historical records, complete with necessary information required to perform technical support. It begins with this simple idea: Every respectful human life keeps a medical record for doctors to issue the right prescription in time of need. What if the same practice is applied to a machine? Many manufacturers don't bother to know where and to who the device has been sold to and they would rather consider their obligation fulfilled so long as the limited warranty is provided and served. But to be different, we are pleased to consider a functional device as having a life of its own. Imagine that it was born to serve its master whom has different expectations. Its burden of workload depends on the total workforce and the nature of business of its master. Hence, keeping a 'healthy body' all the time is fundamental for a machine to serve its master well. If you can pull records of a specific machine at anytime and check on its health condition even for the slightest hiccup, and be able to give an immediate and right treatment on the machine, wouldn't you want to? The only reason that deterred us from introducing the CloudTrack much earlier was due to the difficulty of integration with our backend accounting system. In fact, we had quite some talk with the supplier in the past years, and the breakthrough came only early last year. With respect for all life, there is a thread of health records keeping track of the devices' well-beings. And after a device is 'born' from the production line, its full "maternity" record i.e model, serial number, firmware version, core board and MCU version, and etc. would be uploaded to the CloudTrack for easy reference. Resellers who bought the devices are given the rights to access the records, they are encouraged to continue the trail by filling up where and to who the device had finally gone to, and enrich the biodata whenever they perform technical supports to the particular device. I believe that one of the reasons our business continues to grow is because we never underestimate the capacity to accommodate technical supports that usually increased in tandem with the sales growth. Besides adding a few technical personnel, a good system would definitely play an important role. As employees become comfortable with their working environment leniency tends to rule the workplace. Allowances are made for the good workers and the system runs on trust. This is a wonderful thing, no doubt, but when does it become an issue? Punctuality in the morning is of utmost importance. An office that starts the day off properly will always triumph in the end. If things fall behind right from the start it has a domino effect and the consequences linger throughout the remainder of the day. With fingerprint time clocks this pretty much becomes a non-issue. Your good workers will want to be punctual when they know it matters to you because that's what they do- they get things done and they do it well.It is one way of having the office acknowledge that certain things are not to be debated, even if leniency is allowed for valid purposes. An attendance system also tracks permitted breaks, vacation time, overtime, etc. allowing your employees freedom in how they work, as long as they clock-in and clock-out. The beginning of the year is a good time to introduce new practices since everybody is starting fresh anyway. It will ensure a smoother transition than an introduction after everybody has already grown comfortable.